Todd Johnson signs off his email with this quote from John Muir: “Keep close to Nature’s heart... and break clear away, once in awhile, and climb a mountain or spend a week in the woods. Wash your spirit clean." For the Mountain Journal columnist, it’s apropos for a couple of reasons. 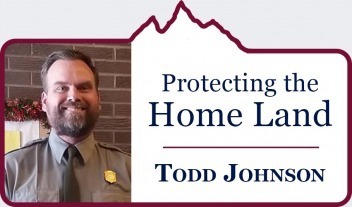 Johnson today is a ranger at Bighorn Canyon National Recreation Area, a unit of the National Park Service headquartered at Fort Smith, Montana. He is also a military veteran who spent a couple of tours of duty in war zones where some of his buddies didn’t come home alive and others deal every day with the trauma of combat. Johnson grew up in Wisconsin. In his inaugural column, he wrote about his transition from being an officer in uniform to coming home and fulfilling his boyhood dream of become a park ranger. We wanted to go deeper, to let MoJo readers become more familiar with Johnson’s journey. What follows is a conversation. MOUNTAIN JOURNAL: What made you want to become a soldier? TODD JOHNSON: As a young boy I had an interest in history, especially military history and I loved reading stories about the men and women who have served our country during times of war. As I grew up I thought about joining one of the services but it wasn’t until my parents told me the summer of my junior year in high school that they didn’t have the money to send me to college that I really started to pursue my options. My older brother had graduated from the United States Military Academy but I wasn’t sure that was the route for me. Luckily, I heard about the Army ROTC program at the American Legion Boy’s State in Wisconsin and decided to apply for a scholarship later on that year. One of the best days of my life was when I opened up the letter stating that I had been awarded a four year scholarship. It was a defining point for me and it allowed me to not only earn a degree but to become a commissioned officer. MOJO: How would you define patriotism? JOHNSON: Patriotism, to me, is putting the country’s needs above your own and embracing the fact that America is an exceptional nation. America is a unique idea in the history of the world and it is important that all citizens realize that they all have a role in passing it on to the next generation. MOJO: We have an all-volunteer military. What is important for Americans to consider about that fact? JOHNSON: The all-volunteer military was the result of a degradation in military readiness during the Vietnam War and it has been an incredibly successful policy. Unfortunately, it has created a wide chasm between those who serve and those who don’t. Many people are aware that less than 1 PERCENT of the American population serves in the military. However, the real divide is that less than one percent of us fight in war and the rest don't understand the true cost of conflict. Our country has been at war since 2001 and yet it seems that the story has been relegated to the back of most people’s minds. MOJO: When and how did nature first make an impression and did national parks factor in? JOHNSON: I’ve always loved being in nature. Growing up by a lake in northwestern Wisconsin I was always spending time in the woods and being outside. I was also very lucky to have parents who allowed me the freedom to explore my surroundings growing up. I remember my dad, a forestry major in college, taking pride in telling me about the different types of trees in our area and how to identify them. My mom, a school teacher, really encouraged me to read growing up. I spent countless hours reading about America’s earliest explorers, Native Americans and the grandeurs of the west. Names like Old Faithful, Half Dome, and the South Rim captured my imagination and I vowed that I would experience those places in my lifetime. 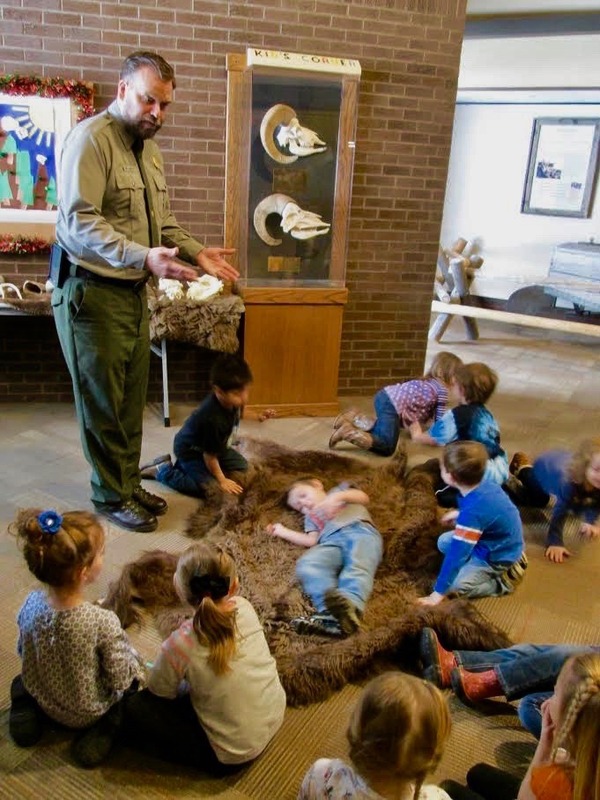 MOJO: Why did you dream of becoming a National Park Service ranger? JOHNSON: Being a National Park Service ranger allows me to serve my country in another capacity while enabling me to pursue my passion of working in the outdoors. 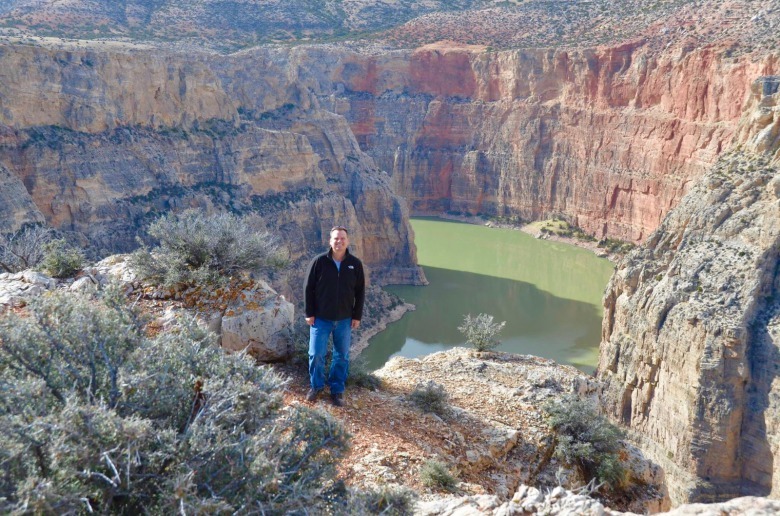 Every day here at the Bighorn Canyon National Recreation Area is different and I have new experiences every time I go out into the park. I get the chance to interact with visitors and help them appreciate this beautiful and landscape. Nothing beats a visitor saying “thanks”. "The people who work for the land management agencies play a critical role in our nation’s well-being, just like those who serve in the military. The land agencies do so many important things, whether it’s sustaining our forests and grasslands, preserving cultural and natural resources, or conserving and protecting animals. All Americans benefit from the land agencies dedication to accomplishing their mission and they should be honored and appreciated." 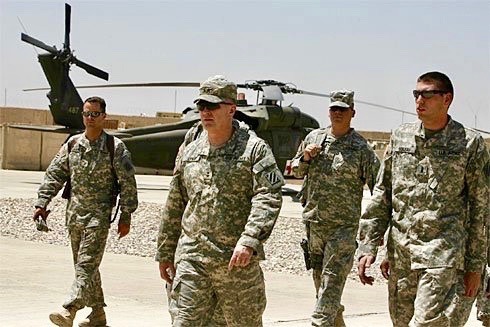 MOJO: There are some out there who put those who serve in a government uniform into two different categories—those who go into battle and are venerated, and those who serve on the homefront for land management agencies and are castigated. What do you make of all this? JOHNSON: It’s an unfair comparison. The people who work for the land management agencies play a critical role in our nation’s well-being, just like those who serve in the military. The land agencies do so many important things, whether it’s sustaining our forests and grasslands, preserving cultural and natural resources, or conserving and protecting animals. All Americans benefit from the land agencies dedication to accomplishing their mission and they should be honored and appreciated. MOJO: What have you learned since becoming an employee of the National Park Service and what do you appreciate about the West? JOHNSON: The biggest lesson I’ve learned since joining the NPS is the importance of communication, both with visitors and my co-workers. On a daily basis our visitors have an expectation of what they want to experience in the park and I do my best to help facilitate their goal. That means I have to listen very carefully and educate them on options. As for my co-workers, I didn’t fully appreciate the different divisions that operate within the Park Service and how they work with one another on a daily basis. Over the last few months, I’ve gained a better appreciation for what each division does and that has enabled me to communicate better with them on joint projects like our safety programs. My appreciation and admiration for the West grows every day. The region is extraordinary and the people are very gracious and hard-working. It is a gift to work out here and I take pride to making sure that future generations will be able to enjoy this region with their children. MOJO: If you were giving a lecture to a group of young people, what would you tell them about your life experience in serving country so far? JOHNSON: I’d tell them that serving our country, in any capacity, is a privilege. Serving our country has enabled my family and me to live in faraway lands and have once-in-a-lifetime experiences. It’s allowed to me grow as an individual and become a leader. Mostly importantly, it has made me a better citizen and made me appreciate what it is like to live in the best country in the world. Our country isn’t perfect, however, by serving I’ve tried to make it a better place and that is the best job satisfaction in the world. EDITOR'S NOTE: Read Todd Johnson's first column here.